Planning a wedding can be very overwhelming. So many things to think about. So many people asking questions you probably don’t have the answers to or haven’t even thought about yet. 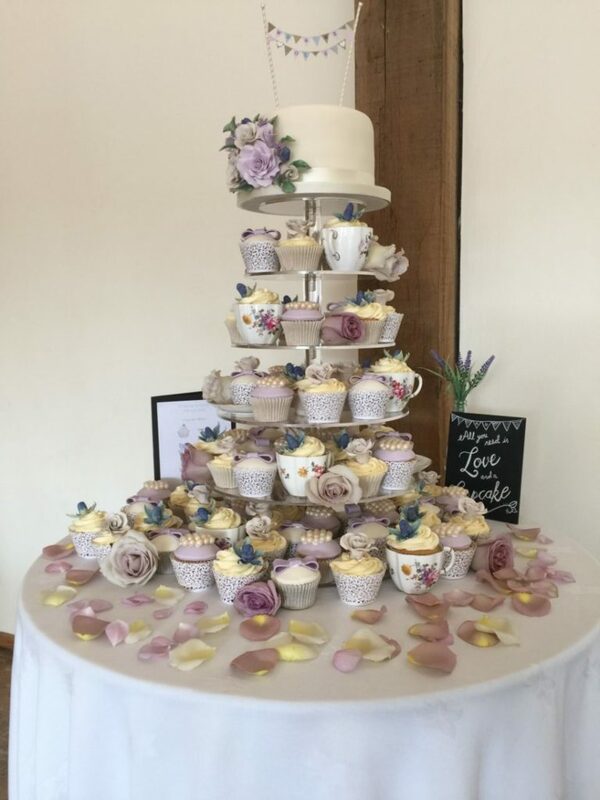 So, I thought I’d put some tips together to help you give the information your cake maker needs to know when you come to enquire about your wedding cake, which will make the cake selection process run as smoothly as possible. The first piece of information your cake maker will need is your date. This is important as they will need to confirm if they are available before you can progress to the next stage. 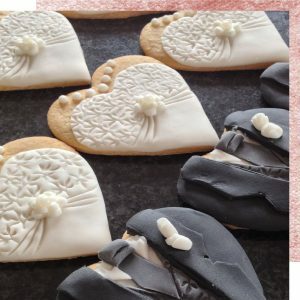 Like Florists & Venue Stylists, Cake Makers can potentially turn their hand to producing more than one cake per date. But, at some point, their limit for a week will be reached & further bookings could be refused. This is the way we work and it means that every single couple we work with gets the focus and attention they deserve. The second piece of information needed here is your Venue. 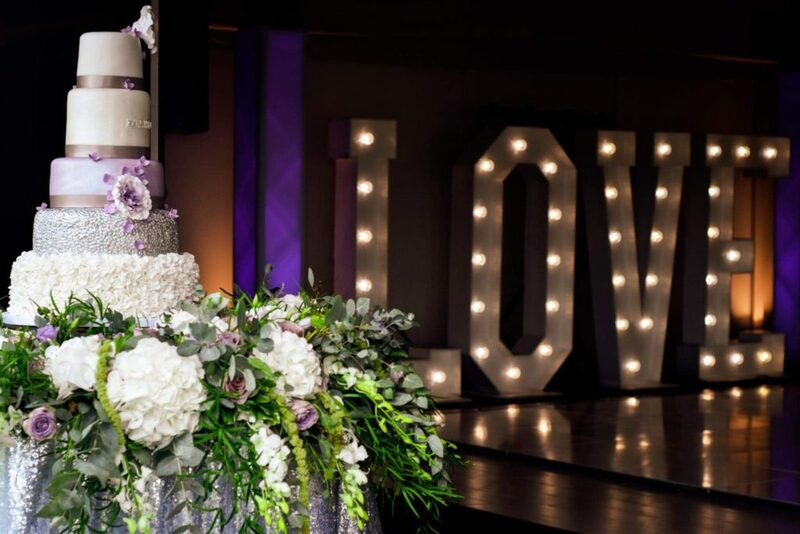 Not only will this help your cake maker with logistics, if they do have another cake to deliver on your date, but it will also help them with suggestions & design ideas if they have a knowledge of your Venue & its style. 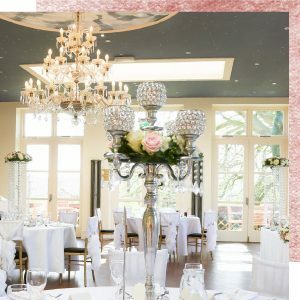 This knowledge can be so helpful because I am sure your head is full of ideas and if the cake maker knows the venue then they can give suggestions as to what would work well within the setting. 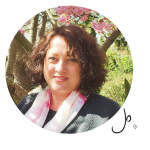 I love this part of what we do – the ideas! 2. How many people do you need your cake to feed? You should take into account your total number of guests, including the evening party, when thinking about portion numbers. This will have an impact of the size of cake you have which will also impact the design. Most couples keep the cake intact until the evening, when the cake cutting precedes the first dance. That way your evening guests get to witness some of the significant traditions of your wedding, which could be missed if the cake is served as dessert after your meal or cut earlier in the day. The cake them becomes the sweet part of your evening buffet. But… there will be some people who don’t like cake (they’re just weird!) or people who think they’ll take some home with them at the end of the night, who will know will be too wasted to remember much at all, never mind grabbing a slice as they hit the taxi’s. So, the best idea is to reduce your portion numbers slightly, to avoid having lots of cake left over after the big day. For instance, if your top number is 150, reduce your cake size request to 120, or for 120, reduce to 100 portions. 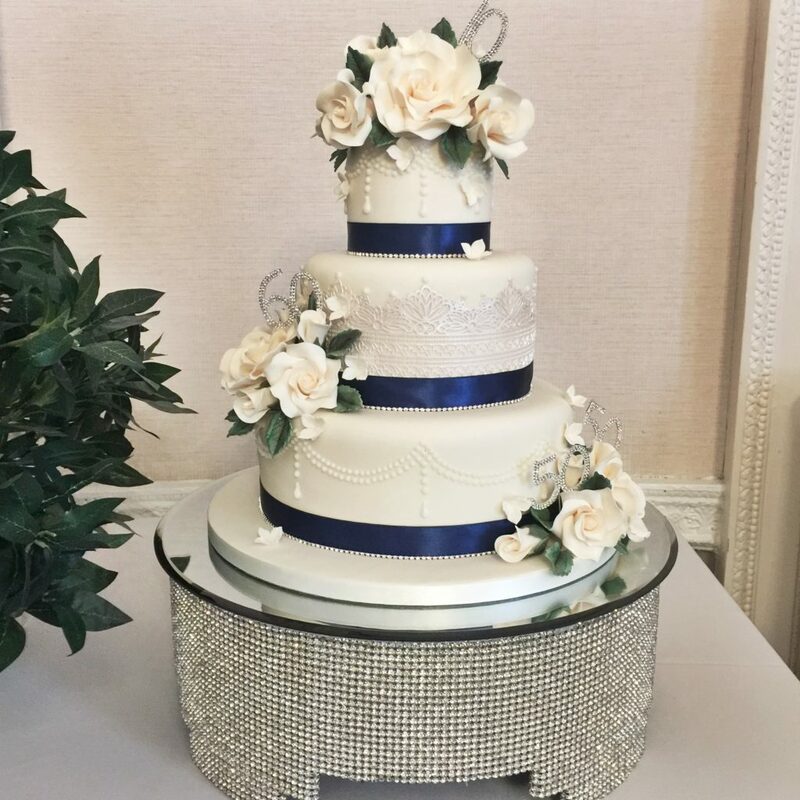 Keeping the top tier intact, for you to enjoy while opening your gifts the following day is also an idea, as most couples are too engrossed in their day to remember to have a piece of their own cake & miss out! 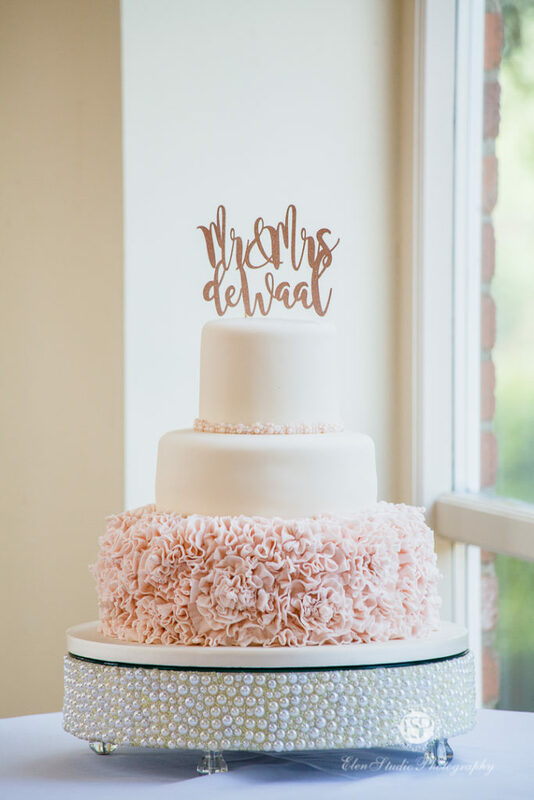 It’s so helpful, from a cake designer point of view, for you to have an idea of what you’re drawn to visually, or what your dream wedding cake looks like. It’s not often I give permission to Brides to hit Pinterest with my blessing, but it can be a useful aide if you really don’t have a clue where to start. 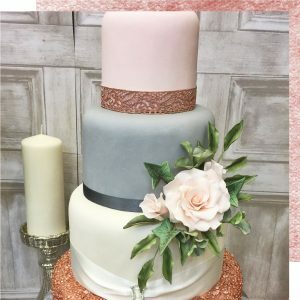 Another good idea is to check out your potential cake maker’s social media feeds & website gallery, as that will feature their most recent work and can help you decide if something on there sparks an interest, possibly with a few tweaks and alterations to make the design more personal to you. 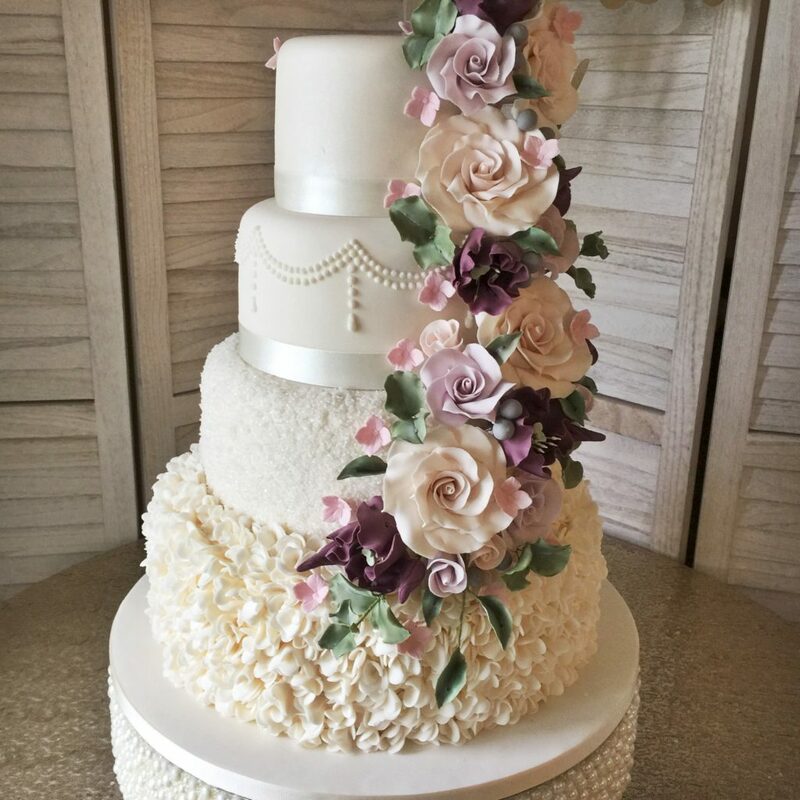 Looking through these galleries also showcases what that cake maker can do and if they’re the right fit for you. 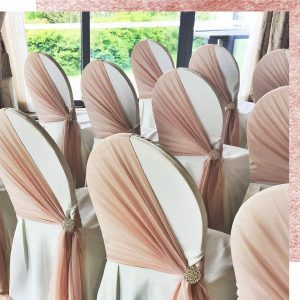 Colours & some design pieces will only fall into place once your Bridesmaids dress colour choice has been made, as that leads to your floral shades & lots of other design elements. 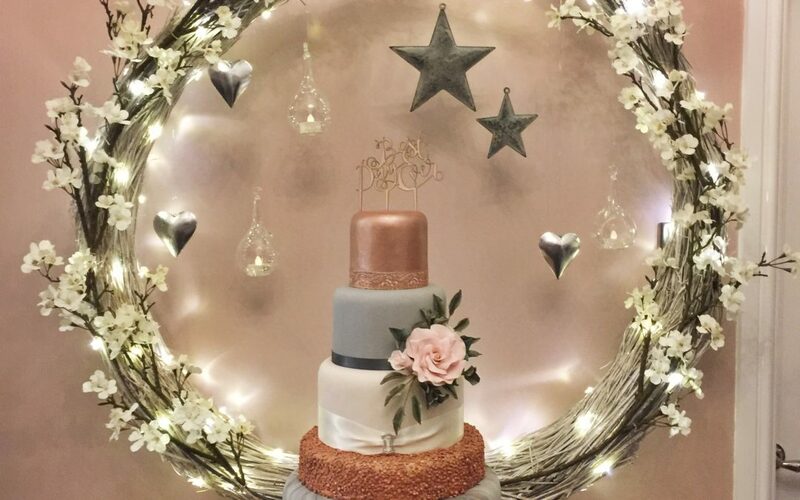 But don’t panic – you don’t need to have ALL of the details set out, that is what the consultations are for and that is how we build the perfect cake for our couples. I’ll do another blog about details soon! 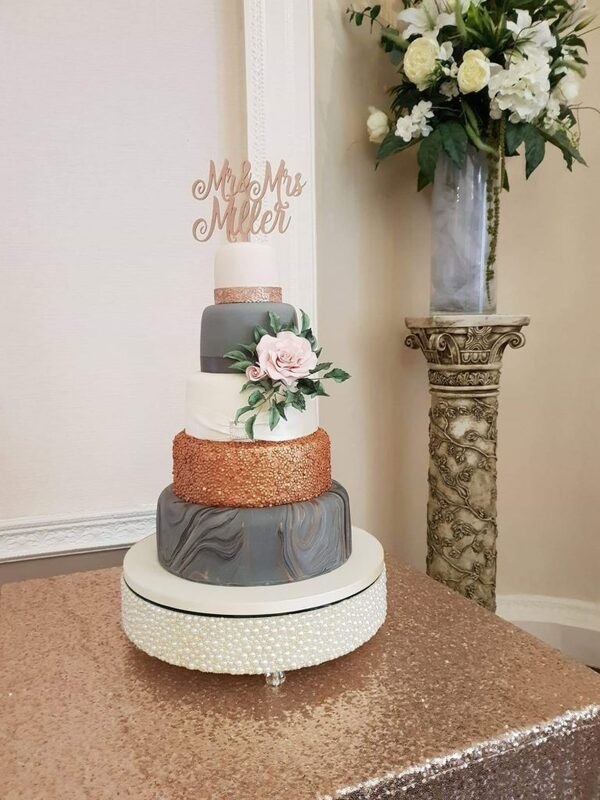 Most cake makers will offer the opportunity for you to try their cake flavours during a cake tasting or consultation meeting. Some charge for this meeting, with the amount paid deducted from your final balance if you go on to book with that supplier, while others offer it as a no obligation, complimentary extension of their service which is what we do – we think it is so important for you to know that you have chosen the right supplier before you part with any money because we will get to know one another pretty well during the process! It’s nice to try before you buy, so as part of our #icedandsplicedexperience, any couples who arrange a cake consultation meeting get to take a box of our most popular flavours home with them, to try in private. No one there to judge you if you get covered in crumbs! 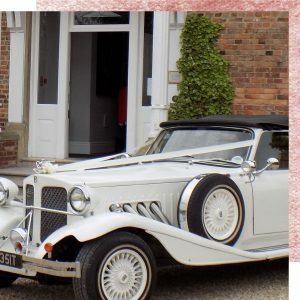 It gives you the opportunity to get other’s opinions too, so sharing the samples with family members helps them to feel included in some of your wedding day choices & you never know, they might even offer to pay for the cake for you! The final things to consider with your cake choice is the allergy & special dietary requirements minefield. Should you need to take into consideration any ingredients that need to be omitted through diet, allergy or religious/moral convictions, don’t design your entire cake around a few guest’s needs. Instead, consider having some separate pieces made to satisfy any special diet needs, like Gluten Free or nut allergies, or for those who follow a vegetarian or vegan lifestyle. I hope that that helps you to think about the details. If you need any help, you know where we are, just pop a comment in the box below and we can chat all things cake…my favourite subject!